INFINITI vehicles are known for their fine craftsmanship and pure luxury. In 2019, the brand will be rolling out a host of re-designs and new models for a new generation of INFINITI driver. You'll find all of these new models on our lot: Q50, Q60, Q70, QX80, and so many more models that are going to impress INFINITI fans this year. Our large selection of new vehicles are organized by model, price, features, and so much more that will make it easier for you to find the model that's perfect for you. And don't forget to check back frequently to find more quality new inventory. We're constantly adding new models as they become available and as they pass their extensive inspections. There's always something new to explore! Buying a new car is more expensive than buying a used car, in most cases, but what you are paying for is a wealth of positives that you will immediately realize the first time you need maintenance or repair on a new car. - Full warranty: New car warranties are the best warranties on the market. It doesn't get any better than having any and every repair paid for for the first 100,000 miles on your vehicle (and sometimes the warranties are even better than that). A new car gives you a terrific warranty you likely will never get with a used car. - Strong resale: If you plan to resale your new vehicle at a later point, a new car is the best starting point. It's going to have 0 mileage and take on the least amount of use during ownership. So when you buy new, you can bet that later on you can resale the vehicle at a good price, unlike used cars that are already used when they're purchased. - Brand new: Buying new is always the optimal goal. It's the American dream. If you can't buy new, that's fine! But if you can, it's going to give you the latest features and safety applications that are available on modern cars. You generally won't find features like adaptive cruise control and touchscreen devices in vehicles older than 10 years, so if you want everything that's new, make sure you buy new! Our new cars are fully inspected in a multi-point inspection for true quality. Certified auto mechanics at our dealership will inspect the vehicle's systems and parts to make sure that you're getting the finest INFINITI model that you possibly can. You will never have to worry that you are driving home in something subpar when you buy from our INFINITI dealership. Ever! 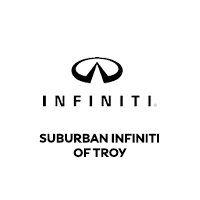 We invite each and every one of you that are interested in buying a new vehicle to browse through our extensive inventory of new INFINITI cars. We'll constantly update our inventory to make sure that our customers never, ever miss out on anything that's going to make them happy. We organize our INFINITI models in a way that make sit easy for you to find your dream car, and then we're always standing by ready to answer your questions or give you a test drive of your favorite model.